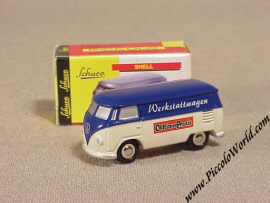 Schuco Piccolo Volkswagen Bus Oldtimer Praxis Werkstattwagen Scale Model. Issued in November 2001, this Bus was made for the German Veteran Car Magazine "Oldtimer Praxis" as a promo. 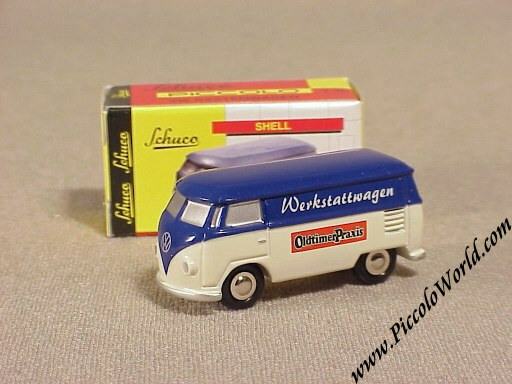 The bus is blue / off-white and carries elaborate "Oldtimer Praxis" and "Werkstattwagen" prints on both sides.